The Shengda Building Material Distribution Office in Jiamusi suburb of Heilongjiang Province mainly consumes RPC cover mould, special-shaped mould, plastic mould, high-speed rail protection mould, curtain roll mould, cable groove mould, high-speed iron protection mould and so on. After three major reforms, the sample processing equipment has been updated. At present, it is a domestic computer automatic injection moulding machine, and the imported model is supplemented by the equipment model. It is a single injection range of 10g-7000g, 12,000 single injection products and more than 10 tons of raw materials. We follow a strict consumption process, and the quality of consumption is stable. The quality management of Shengda Building Material Distribution Office in Jiamusi suburb of Heilongjiang Province adopts the method of peer products, which is strict and accurate. Marketing always adheres to the user-centered, integrity-based, product-based, and in line with the "same quality, low price, the same price, high quality" guidelines. In addition to exporting local products, plastic moulds, plastic mould boxes, battery shells, various slope protection/marble plastic moulds are sold in the provinces and autonomous regions of the country, and a stable marketing network has been established. With the full application of geographical and resource advantages, please enter and apply for various products of large group companies, and further improve and develop. Independent development and exploration, perfect from the edge length of 10cm - 1000cm, curb stone plastic mold box, marble plastic mold box, anti-skid plastic mold box, shoulder stone plastic mold box, curb stone plastic mold box, isolation plastic mold box with plate plastic mold, plastic mold box used to protect plastic mold, hollow hexagonal plastic mold box and other special small cement material plastic mold (referred to as mold box). And for users to accurately design dozens of products required by users. 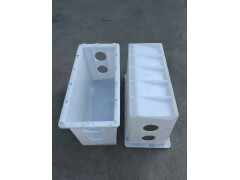 We supply dozens of bridge companies in Tianjin, Beijing, Hebei, Inner Mongolia and Northeast China to complete plastic mould boxes for high-grade highways, small cement assemblies of more than 2500 kilometers, and various slope protection moulds, which enrich the feasibility, firmness and economy of plastic mould box products. With the development of national high-speed railway and highway, we offer high-quality products to customers at lower prices. Shengda Building Material Distribution Office in Jiamusi Suburb of Heilongjiang Province is waiting for consultation and consultation between old and new customers. Your phone will be changed into different products and services!